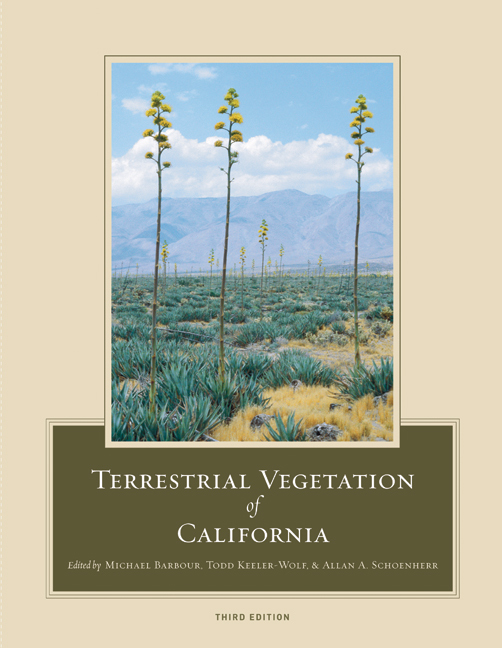 This thoroughly revised, entirely rewritten edition of what is the essential reference on California’s diverse and ever-changing vegetation now brings readers the most authoritative, state-of-the-art view of California’s plant ecosystems available. Integrating decades of research, leading community ecologists and field botanists describe and classify California’s vegetation types, identify environmental factors that determine the distribution of vegetation types, analyze the role of disturbance regimes in vegetation dynamics, chronicle change due to human activities, identify conservation issues, describe restoration strategies, and prioritize directions for new research. Several new chapters address statewide issues such as the historic appearance and impact of introduced and invasive plants, the soils of California, and more. Michael Barbour is Professor of Plant Ecology at the University of California, Davis. Todd Keeler- Wolf is Senior Vegetation Ecologist, Biogeographic Data Branch, California Department of Fish and Game. Allan A. Schoenherr is Professor Emeritus at Fullerton College.